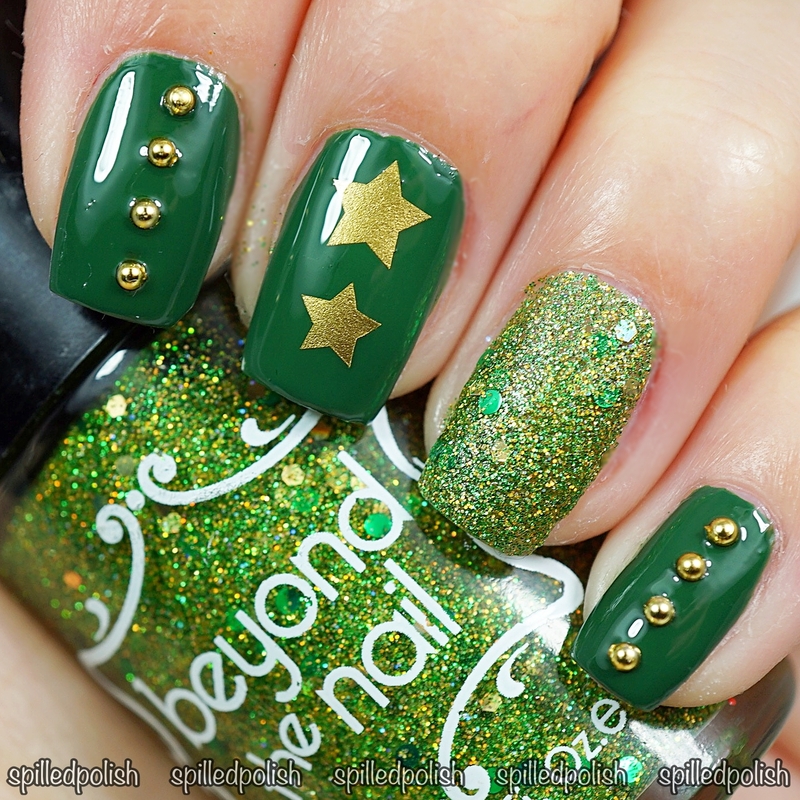 I started by painting my ring finger with two coats of Beyond the Nail - Cloverdale. I painted my other nails with two coats of Beyond the Nail - Forest Green Creme. I added some gold decals from our Three Size Star Nail Decal Set (the biggest and smallest size) on my middle finger. When everything was dry, I painted on one coat of PRO-FX - Quick Dry Topcoat to each nail, and stuck on some Gold Half Round Nail Studs from BornPrettyStore to my index and pinky fingers.